Bulgaria is best discovered by reading this smart travel guide. Read more to have more information about the Bulgarian cuisine, attraction points and more. Bulgaria, the hidden beauty of the Europe is a great destination both for business and pleasure. It is located in the Balkans and neighbored by Romania, Serbia, Macedonia, Greece and Turkey. Don’t be fooled by its neglected charm; Bulgaria is actually an exotic country that offers a unique nature and a deep culture shaped by beautiful details. 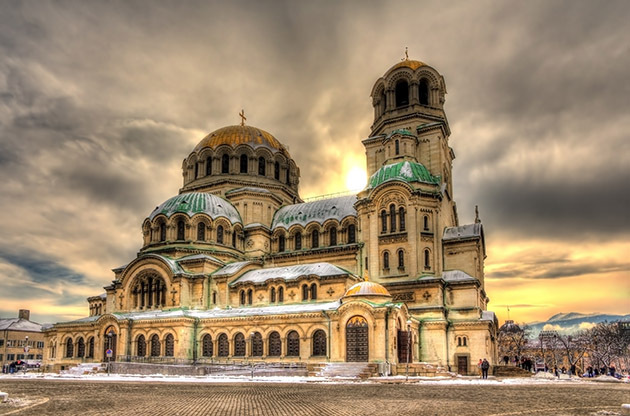 The capital of Bulgaria is Sofia and it is the home of 1.3 million of 7.3 million people living in Bulgaria. It is a vibrant city that is filled with attractions and must see places and it is the economic and cultural hub of the country. Other than Sofia, Plovdiv, Varna and Burgas are the three big cities in Bulgaria which contribute to the growth of the country. If you are unsure of what to expect when in Bulgaria, these may help you: a great cuisine consisting of delicious food, a diverse nature fascinates the visitors with sandy beaches and steep mountains, a large number of places to visit and get to know. Of course, these are not the only things. You are going to be introduced to the hospitality of Bulgarian people which will make you feel like you are on vacation at your home country. Bulgaria is going to get into the your favorite destination list once you begin to enjoy the cities that have got characteristic features that separate each from each other but make them distinctive and unforgettable. Bulgaria is located on southeastern Europe, in Balkans. Romania, Serbia, Macedonia, Greece and Turkey are the 5 of Bulgaria’s neighbors. It has got a coast to Black Sea. Bulgaria is a member of the European Union and therefore subject to Schengen Visa Procedure. You can get more information about the country’s visa policy on The Republic of Bulgaria Ministry of Foreign Affairs official website. If you are traveling to Bulgaria for business, then make sure you spare a couple of free days when your meetings are over because you are going to be eager to get to know this country. The sort of attractions depends on which part of the country you are going to travel to, however, all of the cities and towns are going to treat you very well with sort of attractions they have. In bigger cities which are the cultural hubs of the country, there are museums and must see places as well as good examples of the folklore of the country. While you are experiencing the city life, for example in Sofia, you can also get a chance to experience Bulgarian culture. A trip to Sofia, the capital, for example is going to keep you satisfied if you would like to observe the city life of the country. The traditional structure of the country can best be seen in more rural parts. Bulgaria is actually a great destination for outdoor sports. Even from the neighboring countries, such as Turkey, a large number of travelers go there to enjoy the beauty of the nature while practicing their desired sports. Hiking during spring and fall, swimming in the summer and skiing during winter months are quite popular in Bulgaria. The modern facilities that meets all the needs of the visitors play a crucial role in Bulgaria’s accelerating place among world’s sports centers. Bulgaria is a country that cannot be considered as expensive and this is another reason to love it. The shopping options vary from traditional to modern in the country. You can come across big shopping malls in bigger cities such as Sofia and Varna. However, that doesn’t mean the country doesn’t provide you the joy of traditional shopping. You can find small boutiques and stores that sell souvenirs and the best examples of Bulgarian craftsmanship. So, what to buy from Bulgaria? Well, you are going to visit the country that produces the most amount of roses in the world and this means you are going to come across various products produced by rose trees or oils. Another traditional item to buy from Bulgaria may be dolls that have the traditional outfit of the Bulgarian locals. Embroidery is also famous in Bulgaria, so you can also purchase cloth materials such as handkerchiefs and towels. People also like the wooden jewelry boxes, you may also want to check them out. If you are familiar with Bulgarian cuisine, you are already excited about your travel’s gusto section. If you are not, then you better get excited. You are on your way to taste some of the most delicious dishes ever. The Bulgarian cuisine is actually a mixture of south Slavic and Balkan cuisines. It would be accurate to say it is a great example to sum Southeastern Europe cuisine and you may not easily decide what to try among so many options. Of course, one of the things what makes the Bulgarian cuisine this delicious is how the ingredients are combined and cooked. However, one cannot underestimate the effect of the freshness of the products thanks to Bulgaria’s rich soil and the convenient weather conditions. The meals are accompanied by large salads in Bulgaria, so you are going to enjoy different types of salads not as main course but side dishes. Make sure you try Tarator (yoghurt and cucumbers), Yahniya (mat and vegetables, accompanied by tomato souce), Shishcheta, pita and tahini. These may be existent in other cuisines, however the Bulgarian variations differ both in look and taste. Bulgaria has gained importance in the world’s business scene, especially after becoming a European Union member. Today, the country is home to a large number of national and international events that are held every year. Countless congresses, conferences, symposiums, fairs and trade shows are held in Bulgaria, especially in the capital Sofia. The full tech equipped event venues and hotels that meet the every need of the visitors also contribute to this success of Bulgaria. With everything taken into consideration, Bulgaria is a great destination both for business purposes and pleasure.